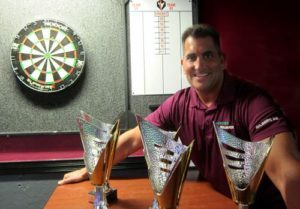 Jester’s Billiards is proud to announce that Chuck Puleo will be competing in the Magic Darts Championship Darts Circuit on March 30th in Philadelphia, Pennsylvania. 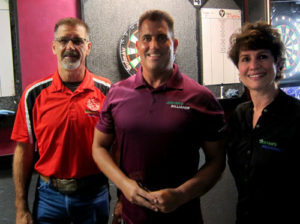 Chuck has recently returned from London where he competed in the 2019 William Hill World Darts Championship. He is a Jay Tomlinson Award Winner, and ranked #1 in 2018. So how does a champion prepare for a big competition? Our best wishes and winning vibes go out to you, Chuck, from all of your fans and friends at Jester’s Billiards.